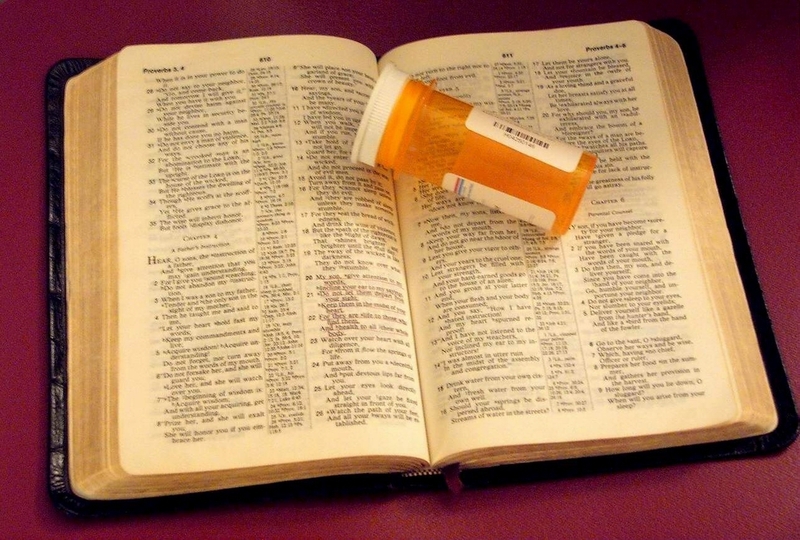 In the article entitled “The Word As Medicine,” we talked about God’s Word being one of the means He uses to heal us. It is His medicine, and as we take it into our system, we can be assured that it will do what He promised: produce health and life in our whole being. There are hundreds of Scriptures that contain God’s life and health in them, but the following are some of the most powerful that I have used in my own experience and have known to be effective in other believers’ lives as well. I have listed many of them categorically, under the headings of some of the most common diseases and problems. However, please do not feel that you need to use only those listed in each category. Most of these Scriptures apply to numerous problems, and, of course, some (especially those listed in the “General” category) can be applied to all healing needs. Choose the ones that relate to your situation, or use them all. Read them daily, or many times a day, depending on how you feel led in your own spirit. You might also ask the Lord to show you other verses from His Word that will help you particularly. Don’t forget to put your own name in them, or the name of your loved one. It’s also very helpful to read them aloud. Matthew 8:18: Verily I say unto you; Whatsoever ye shall bind on earth shall be bound in heaven; and whatsoever ye shall loose on earth shall be loosed in heaven. (KJV). 2 Cor. 10:4-5: For though we walk in the flesh, we do not war according to the flesh, for the weapons of our warfare are not of the flesh, but divinely powerful for the destruction of fortresses. Revelation 12:11: And they overcame him (the devil) by the blood of the Lamb, and by the word of their testimony. (KJV). Habakkuk 3:13: Thou didst go forth for the salvation of Thy people. For the salvation of Thine anointed. Thou didst strike the head of the house of the evil to lay him open from thigh to neck. 1 John 3:8b: For this purpose was the Son of God manifested, that He might destroy the works of the devil. John 8:36: If the Son therefore shall make you free, you shall be free indeed. Psalm 107:17-20: Fools because of their rebellious way, and because of their iniquities, were afflicted. Their soul abhorred all kinds of food; and they drew near to the gates of death. They cried out to the Lord in their trouble; He saved them out of their distresses. He sent His word and healed them, and delivered them from their destruction. Rom. 8:2: For the law of the Spirit of life in Christ Jesus has set you free from the law of sin and of death. Psalm 103:1-5: Bless the Lord, O my soul, and all that is within me, bless His holy name. Bless the Lord, O my soul, and forget none of His benefits; Who forgiveth all thine iniquities, Who healeth all thy diseases; Who redeemeth thy life from destruction; Who crowneth thee with lovingkindness and tender mercies; Who satisfieth thy mouth with good things; so that thy youth is renewed like the eagle’s. (KJV). Psalm 27:1-2: The Lord is my light and my salvation; whom shall I fear? The Lord is the defense of my life; whom shall I dread: When evildoers came upon me to devour my flesh, my adversaries and my enemies, they stumbled and fell. 2 Timothy 1:7: For God hath not given us the spirit of fear; but of power, and of love, and of a sound mind. (KJV). 1 Cor. 1:16b: But we have the mind of Christ. Isaiah 50:7a: For the Lord will help me; therefore shall I not be confounded. 2 Cor. 10:4-5: For the weapons of our warfare are not carnal, but mighty through God to the pulling down of strongholds; casting down imaginations, and every high thing that exalteth itself against the knowledge of God, and bringing into captivity every thought to the obedience of Christ. (KJV). Philippians 4:6-7: Be anxious for nothing, but in everything by prayer and supplication with thanksgiving let your requests be made known to God. And the peace of God, which surpasses all comprehension, shall guard your hearts and your minds in Christ Jesus. Philippians 4:8: Finally, brethren, whatever is true, whatever is honorable, whatever is right, whatever is pure, whatever is lovely, whatever is of good repute, if there is any excellence and if anything worthy of praise, let your mind dwell on these things. Isaiah 26:3: Thou wilt keep him in perfect peace, whose mind is stayed on Thee: because he trusteth in Thee. (KJV). Romans 8:6: For the mind set on the flesh in death, but the mind set on the Spirit is life and peace. Hebrews 10:16: This is the covenant that I will make with them after those days, says the Lord: I will put My laws upon their heart, and upon their mind I will write them. Malachi 4:2: But for you who fear My name the sun of righteousness will rise with healing in its wings; and you will go forth and skip about like calves from the stall. Mark 11:22b-25: Have faith in God. Truly I say to you, whoever says to this mountain, “Be taken up and cast into the sea,” and does not doubt in his heart, but believes that what he says is going to happen, it shall be granted him. Therefore I say to you, all things for which you pray and ask, believe that you have received them, and they shall be granted to you. And whenever you stand praying, forgive, if you have anything against anyone; so that your Father also who is in heaven may forgive you your transgressions. 1 Cor. 6:19-20: Or do you not know that your body is a temple of the Holy Spirit who is in you, whom you have from God, and that you are not your own? For you have been bought with a price: therefore glorify God in your body. Matt. 15:30-31: And great multitudes came to Him, bringing with them those who were lame, crippled, blind, dumb, and many others, and they laid them down at His feet; and He healed them, so that the multitude marveled as they saw the dumb speaking, the crippled restored, and the lame walking, and the blind seeing; and they glorified the God of Israel. Psalm 145:14: The Lord upholdeth all that fall and raiseth up all those that be bowed down. Romans 8:11: But if the Spirit of Him who raised Jesus from the dead dwells in you, He who raised Christ Jesus from the dead will give life to your mortal bodies through His Spirit who indwells you. Leviticus 17:11: For the life of the flesh is in the blood, and I have given it to you on the altar to make atonement for your souls. Joel 3:21: For I will cleanse their blood that I have not cleansed: for the Lord dwelleth in Zion. Psalm 34:19-20: Many are the afflictions of the righteous; but the Lord delivers him out of them all. He keeps all his bones; not one of them is broken. Proverbs 3:7-8: Do not by wise in your own eyes; reverently fear and worship the Lord, and turn away from evil. It shall be health to your nerves and sinews, and morrow and moistening to your bones. (Amplified). Proverbs 16:24: Pleasant words are as an honeycomb, sweet to the soul, and health to the bones. Isaiah 58:9b-11: If you remove the yoke from your midst, the pointing of the finger, and speaking wickedness, and if you give yourself to the hungry, and satisfy the desire of the afflicted, then your light will rise in darkness, and your gloom will become like midday. And the Lord will continually guide you, and satisfy your desire in scorched places, and give strength to your bones. Ezekiel 37:5-6: Thus saith the Lord God unto these bones; “Behold, I will cause breath to enter into you, and ye shall live: and I will lay sinews upon you, and will bring up flesh upon you, and cover you with skin, and put breath in you, and ye shall live; and ye shall know that I am the Lord. (KJV). Psalm 35:9-10: And my soul shall rejoice in the Lord; it shall exult in His salvation. All my bones will say, “Lord, who is like Thee, who delivers the afflicted from him who is too strong for him, and the afflicted and the needy from him who robs him? Hebrews 4:12: For the word of God is quick and powerful and sharper than a two-edged sword, piercing even to the dividing asunder of soul and spirit, and of the joints and morrow. Ephesians 5:30: For we are members of his body, of his flesh, and of his bones. Psalm 147:3: He heals the brokenhearted, and binds up their wounds. Isaiah 61:1-3: The Spirit of the Lord God is upon me, because the Lord has anointed me to bring good news to the afflicted; He has sent me to bind up the brokenhearted, to proclaim the favorable year of the Lord, … to comfort all who mourn, to grant those who mourn in Zion, giving them a garland instead of ashes, the oil of gladness instead of mourning, the mantle of praise instead of a spirit of fainting. Psalm 30:5b: Weeping may last for the night, but a shout of joy comes in the morning. Psalm 30:11: Thou hast turned for me my mourning into dancing; thou hast loosed my sackcloth and girded me with gladness; that my soul may sing praise to you and not be silent. O Lord my God, I will give thanks to Thee forever. Isaiah 53:4-5: Surely He has borne our griefs – sickness, weakness and distress — and carried our sorrows and pain. … He was wounded for our transgressions, He was bruised for our guilt and iniquities; the chastisement needful to obtain peace and well-being for us was upon Him, and with the stripes that wounded Him we are healed and made whole. (Amplified). Psalm 42:5: Why are you in despair, O my soul? And why have you become disturbed within me? Hope in God, for I shall again praise Him for the help of His presence. Acts 2:28: Thou hast made known to me the ways of life; Thou wilt make me full of gladness with Thy presence. Psalm 118:16-17: The right hand of the Lord is exalted; The right hand of the Lord does valiantly. I shall not die, but live, and tell of the works of the Lord. Matthew 18:18: Verily I say unto you; Whatsoever ye shall bind on earth shall be bound in heaven; and whatsoever ye shall loose on earth shall be loosed in heaven. (KJV) . Isaiah 46:4: Even to your old age, I shall be the same, and even to your graying years I shall bear you! I have done it, and I shall carry you; and I shall bear you, and I shall deliver you. Psalm 71:18: And even when I am old and gray, O God, do not forsake me, until I declare Thy strength to this generation, Thy power to all who are to come. Psalm 92:12-14: The righteous man will flourish like the palm tree; he will grow like a cedar in Lebanon. Planted in the house of the Lord, they will flourish in the courts of our God. They will still yield fruit in old age; they shall be full of sap and very green, to declare that the Lord is upright; He is my rock, and there is no unrighteousness in Him. Proverbs 20:12: The hearing ear and the seeing eye, the Lord has made both of them. Psalm 19:8b: The commandment of the Lord is pure, enlightening the eyes. Matthew 11:4-5: And Jesus answered and said to them, “Go and report to John the things which you hear and see: the blind receive sight and the lame walk, the lepers are cleansed and the deaf hear, and the dead are raised up, and the poor have the gospel preached to them. Job 36:15: He delivereth the poor in his affliction, and openeth their ears in oppression. Mark 7:34b-35: He (Jesus) said to him, “Ephphatha!” that is, “Be opened!” and his ears were opened and the impediment of his tongue was removed, and he began speaking plainly. Mark 7:37b: He has done all things well; He makes even the deaf to hear, and the dumb to speak. Psalm 3:3: But Thou, O Lord, art a shield about me; my glory and the One who lifts my head. Psalm 140:7: O God, the Lord, the strength of my salvation, Thou hast covered my head in the day of battle. Isaiah 53:4-5: Surely He has borne our griefs – sickness, weakness and distress – and carried our sorrows and pain. … He was wounded for our transgressions, He was bruised for our guilt and iniquities; the chastisement needful to obtain peace and well being for us was upon Him, and with the stripes that wounded Him we are healed and made whole. (Amplified). Proverbs 14:30: A tranquil heart is life to the body. John 14:27a: Peace I leave with you, My peace I give unto you. Psalm 73:26: My flesh and my heart may fail; but God is the strength of my heart and my portion forever . Psalm 27:14: Wait upon the Lord; be of good courage, and He shall strengthen thine heart. (KJV). Psalm 28:7: The Lord is my strength and my shield; my heart trusts in Him, and I am helped. Proverbs 17:22: A joyful heart is good medicine. Matthew 8:17b: He Himself took our infirmities, and carried away our diseases. Proverbs 14:30a: A tranquil heart is life to the body. John 14:27: Peace I leave with you, My peace I give unto you … Let not your heart be troubled, nor let it be fearful. Psalm 91:14-16: Because he has loved Me, therefore I will deliver him; I will set him securely on high because He has known My name. He will call upon Me, and I will answer him; I will be with him in trouble; I will rescue him, and honor him. With a long life I will satisfy him, and let him behold My salvation. Ephesians 6:2-3: Honor your father and mother (which is the first commandment with a promise), that it may be well with you, and that you may live long on the earth. Ezekiel 47:8-9: (Speaking of the river of living water flowing from God’s temple.) These waters pour out … into the Dead Sea. And when they shall enter into the sea … of putrid waters, the waters shall be healed and made fresh. … And everything shall live wherever the river goes. (Amplified). Revelation 22:1: Then he showed me a river whose waters give life … flowing out from the throne of God and of the Lamb. (Amplified). Exodus 23:25-26: You shall serve the Lord your God, and He will bless your bread and your water; and I will remove sickness from your midst. … I will fulfill the number of your days. Mark 11:23: (For Kidney Stones.) Truly I say to you, whosoever says to this mountain, “Be taken up and cast into the sea,” and does not doubt in his heart, but believes that what he says is going to happen, it shall be granted to him. Matthew 8:17b: He Himself took our infirmities and carried away our diseases. Proverbs 4:20-22: My son, give attention to my words; incline your ear to my sayings. Do not let them depart from your sight; keep them in the midst of your heart. For they are life to those who find them, and health (Lit. “medicine”) to all their whole body. 1 Cor. 6:19-20: Or do you not know that your body is a temple of the Holy Spirit who is in you, whom you have from God, and that you are not your own? For you have been bought with a price? Isaiah 40:29-31: He gives strength to the weary, and to him who lacks might He increases power. Though youths grow weary and tired, and vigorous young men stumble badly, yet those who wait for the Lord will gain new strength; they will mount up with wings like eagles, they will run and not get tired, they will walk and not become weary. Psalm 27:1-2: The Lord is my light and my salvation; whom shall I fear? The Lord is the defense of my life; whom shall I dread? When evildoers came upon me to devour my flesh, my adversaries and my enemies, they stumbled and fell. Psalm 18:29, 34: For by Thee I can run upon a troop; and by my God I can leap over a wall. He trains my hands for battle, so that my arms can bend a bow of bronze. Isaiah 53:4-5: Surely He has borne our griefs – sickness, weakness and distress – and carried our sorrows and pain. … He was wounded for our transgressions, He was bruised for our guilt and iniquities; the chastisement needful to obtain peace and well-being for us was upon Him, and with the stripes that wounded Him we are healed and made whole. (Amplified). Psalm 116:8-9: For Thou hast rescued my soul from death, my eyes from tears, my feet from stumbling. I shall walk before the Lord in the land of the living. Isaiah 26:3: Thou wilt keep him in perfect peace, whose mind is stayed on Thee; because he trusteth in Thee. Psalm 138:7: Though I walk in the midst of trouble, Thou wilt revive me. Isaiah 54:13-14: And all your spiritual children (believers) shall be disciples – taught of the Lord and obedient to His will; and great shall be the peace and undisturbed composure of your children (believers). You shall establish yourself on righteousness … You shall be far even from the thought of oppression or destruction, for you shall not fear; and from terror, for it shall not come near you. (Amplified). John 14:27: Peace I leave with you; My peace I give to you. … Let not your heart be troubled; nor let it be afraid. Romans 8:11: But if the Spirit of Him who raised Jesus from the dead dwells in you, He who raised Christ Jesus from the dead will also give life to your mortal bodies through His Spirit who indwells you. Psalm 103:1-5: Bless the Lord, O my soul, and all that is within me, bless His holy name. Bless the Lord, O my soul, and forget none of His benefits; who pardons all your iniquities; who heals all your diseases; who redeems your life from the pit; who crowns you with loving kindness and compassion; who satisfies your years with good things, so that your youth is renewed like the eagle. Psalm 118:16b-17: The right hand of the Lord does valiantly. I shall not die, but live, and tell of the works of the Lord. Psalm 91:1-13: He who dwells in the shelter of the Most High will abide in the shadow of the Almighty. I will say to the Lord, “My refuge and my fortress, my God, in whom I trust!” For it is He who delivers you from the snare of the trapper, and from the deadly pestilence. He will cover you with His pinions, and under His wings you may seek refuge; His faithfulness is a shield and bulwark. You will not be afraid of the terror by night, or of the arrow that flies by day; of the pestilence that stalks in darkness, or the destruction that lays waste at noon. A thousand may fall at your side and ten thousand at your right hand; but it shall not approach you. You will only look on with your eyes, and see the recompense of the wicked. For you have made the Lord, my refuge, even the Most High, your dwelling place. No evil will befall you, nor will any plague come near your tent. For He will give His angels charge concerning you, to guard you in all your ways. They will bear you up in their hands, lest you strike your foot against a stone. You will tread upon the lion and cobra, the young lion and the serpent you will trample down. Luke 10:19: Behold, I have given you authority to tread upon serpents and scorpions, and over all the power of the enemy, and nothing shall injure you. Isaiah 54:17a: No weapon that is formed against you shall prosper. Exodus 23:25-26: But you shall serve the Lord your God, and He will bless your bread and your water; and I will remove sickness from your midst. There shall be no one miscarrying or barren in your land; I will fulfill the number of your days. Deut. 7:14-15: You shall be blessed above all peoples; there shall be no male or female barren among you or among your cattle. And the Lord will remove from you all sickness. Psalm 113:9: He maketh the barren woman to keep house, and to be a joyful mother of children. (KJV). Deut. 28:2-4a: And all these blessings shall come upon you and overtake you, if you will obey the Lord your God. Blessed shall you be in the city, and blessed shall you be in the country. Blessed shall be the offspring of your body. 2 Tim. 2:15: But women shall be preserved through the bearing of children if they continue in faith and love and sanctity with self-restraint. Exodus 23:25: But you shall serve the Lord your God, and He will bless your bread and your water; and I will remove sickness from your midst. Psalm 107:17-20: Fools because of their rebellious way and because of their iniquities, were afflicted. Their soul abhorred all kinds of food; and they drew near to the gates of death. They cried out to the Lord in their trouble; He saved them out of their distresses. He sent His word and healed them, and delivered them from their destructions. John 7:38: He that believeth on me, as the Scripture hath said, out of his belly shall flow rivers of living water. (KJV). Psalm 103:2-5: Bless the Lord, O my soul, and forget none of His benefits: Who forgiveth all thine iniquities; who healeth all thy diseases; who redeemeth thy life from destruction; who crowneth thee with lovingkindness and tender mercies; who satisfieth thy mouth with good things, so that thy youth is renewed like the eagle’s. Psalm 103:5: Who satisfieth thy mouth with good things, so that thy youth is renewed like the eagle’s. (KJV). Psalm 107:18-20: Their soul abhorred all kinds of food; and they drew near to the gates of death. They cried out to the Lord in their trouble; He saved them out of their distresses. He sent His word and healed them, and delivered them from their destructions. Psalm 103:2-5: Bless the Lord, O my soul, and forget none of His benefits; who pardons all your iniquities; who heals all your diseases; who redeems your life from the pit; who crowns you with loving kindness and compassion; who satisfies your years with good things, so that your youth is renewed like the eagle. Acts 17:25b: He Himself gives to all life and breath and all things. Genesis 2:7: Then the Lord God formed man of dust from the ground, and breathed into his nostrils the breath of life. Ps. 107:17-20: Fools because of their rebellious way and because of their iniquities, were afflicted. Their soul abhorred all kinds of food; and they drew near to the gates of death. They cried out to the Lord in their trouble; He saved them out of their distresses. He sent His word and healed them, and delivered them from their destructions. Matthew 9:2-7: And behold, they were bringing to Him a paralytic, lying on a bed; and Jesus seeing their faith said to the paralytic, “Take courage, My son, your sins are forgiven.” And behold, some of the scribes said to themselves. “This fellow blasphemes.” And Jesus knowing their thoughts said, “Why are you thinking evil in your hearts? For which is easier to say, ‘Your sins are forgiven’ or to say, ‘Rise and walk?’ But in order that you may know that the Son of Man has authority on earth to forgive sins” — then He said to the paralytic, “Rise, take up your bed and go home.” And he rose and went to his home. Galatians 3:13: Christ redeemed us from the curse of the Law, having become a curse for us. James 5:14-15: Is anyone among you sick? Let him call for the elders of the church, and let them pray over him, anointing him with oil in the name of the Lord; and the prayer offered in faith will restore the one who is sick, and the Lord will raise him up, and if he has committed sins, they will be forgiven him. Romans 8:5-6: For those who are according to the flesh set their minds on the things of the flesh, but those who are according to the Spirit, the things of the Spirit. For the mind set on the flesh is death, but the mind set on the Spirit is life and peace. Psalm 18:1-2: I will love Thee, O Lord, my strength. The Lord is my rock, and my fortress, and my deliverer; my God, my strength in whom I trust. (KJV). Psalm 68:28a: Your God has commanded your strength. Nehemiah 8:10: Then he said to them, “Go, eat of the fat, drink of the sweet, and send portions to him who has nothing prepared; for this day is holy to our Lord. Do not be grieved, for the joy of the Lord is our strength. Isaiah 41:10: Do not fear, for I am with you; do not anxiously look about you, for I am your God. I will strengthen you, surely I will help you, surely I will uphold you with My righteous right hand. Exodus 15:26: If you will give earnest heed to the voice of the Lord your God, and do what is right in His sight, and give ear to His commandments, and keep all His statutes, I will put none of the diseases on you which I have put on the Egyptians; for I, the Lord, am your healer (physician). 3 John 2: Beloved, I pray that in all respects you may prosper and be in good health, just as your soul prospers. 1 Peter 2:24: And He Himself bore our sins in His body on the cross, that we might die to sin and live to righteousness; for by His wounds you were healed. Psalm 41:1-3: How blessed is he who considers the helpless; the Lord will deliver him in a day of trouble. The Lord will protect him, and keep him alive, and he shall be called blessed upon the earth; and do not give him over to the desire of his enemies. The Lord will sustain him upon his sickbed; in his illness, Thou dost restore him to health. John 14:13-14: And what ever you ask in My name, that will I do, that the Father may be glorified in the son. If you ask Me anything in My name, I will do it. 1 John 5:14-15: And this is the confidence which we have before Him, that if we ask anything according to His will, He hears us. And if we know that He hears us in whatever we ask, we know that we have the requests which we have asked from Him. Mark 11:22b-25: Have faith in God. Truly I say to you, whoever says to this mountain, “Be taken up and cast into the sea,” and does not doubt in his heart, but believes that what he says is going to happen, it shall be granted him. Therefore, I say to you all things for which you pray and ask, believe that you have received them, and they shall be granted you. And whenever you stand praying, forgive, if you have anything against anyone; so that your Father also who is in heaven may forgive you your transgressions. Exodus 23:25-26: But you shall serve the Lord your God, and He will bless your bread and your water; and I will remove sickness from your midst. … I will fulfill the number of your days. Romans 8:31-32: What shall we then say to these things? If God be for us, who can be against us? He that spared not His own Son, but delivered Him up for us all, how shall He not with Him also freely give us all things? (KJV). thank you for your great work, what a blessing! We appreciate your letting us know that the site blesses you. thank you. I can now pray more effectively. That’s great. That’s why we’re here. These collection of scriptures are a blessing and an eye opener. We’re so glad you found them a blessing.